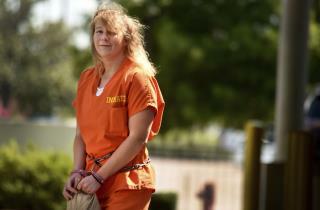 Billie Winner-Davis: My Daughter Reality Winner Gets 5 Years for Revealing Russian Hacking, and Trump Players Get What? My Daughter Got 5 Years. And Trump's Boys Get What? (Newser) – "I am writing now because I am outraged: While my daughter languishes in prison, those actually responsible for threatening our election continue to get off easy." So writes Billie Winner-Davis in an Intercept article about her daughter, Reality Winner. A 27-year-old US Air Force veteran, Winner got five years—the longest-ever sentence for such a crime, her mom says—for revealing an NSA report on Russian military phishing attacks on US election officials. But what about the misdeeds of Paul Manafort, Rick Gates, George Papadopoulos, Michael Flynn, and Michael Cohen? They "do not appear to be paying near the price that she and our family are paying," writes Winner-Davis. I see the Mother is just as dumb as the Daughter. Reality had a brilliant defense strategy; I'm a pretty white girl so they won't put me in jail. Idiot.